To determine the negative effects of denigration, it is essential to understand how reputation affects the ability of a firm to generate income. 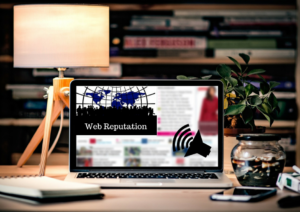 First of all, reputation affects consumers’ decisions: brand and reputation are crucial elements of a firm’s marketing strategies and often represent its most valuable assets. However, the reputation of a firm affects not only its relationship with customers, but also the relationship between the firm and other stakeholders, such as investors, lenders, commercial partners, suppliers, employees, etc. Therefore, denigratory actions can negatively affect a firm’s economic performance by worsening its ability to generate income and/or by raising its costs. Compensatory damages aim at restoring the assets of the injured party, taking it back to their level in absence of the unlawful practice. Hence, damages quantification should be informed by the comparison between two scenarios: the (hypothetical) scenario in which the denigratory act did not occur and the (actual) one where it has occurred. The main task of the economic analysis is to reconstruct the hypothetical scenario – called “counterfactual”. The outcome of the analysis will be an estimate of the values that some relevant variables would have assumed if the denigration had not occurred. For example, the counterfactual scenario might describe the higher volumes that would have been sold or the prices that the firm would have set or the lower costs that it would have born, had the denigratory news never been spread. Economists have developed several methodologies to estimate these counterfactual values, also called “but for”. The exercise is usually done by exploiting some real observations which refer to a period before the one in which the denigratory action occurred or to different firms or markets, not influenced by the harmful event. The objective of these analyses is to obtain a reliable estimate of each negative effect causally related to the spread of the denigratory news. Where the implementation of such methodologies is not feasible (because of the lack of data or because of the high number of “but for” variables), the economist can use a more synthetic approach, i.e. one that does not require to reconstruct all the channels through which the event produces its negative effects on the firm. One of these is to identify the expenditure that the firm would have to bear to obtain positive reputational effects such that they offset the negative reputation effects of the denigration. It is worth highlighting that this approach should never boil down to a quantification of the cost of a communication campaign that reaches the same audience of the denigratory news. It is likely that this would underestimate the extent of the damage. Indeed, negative information may have a stronger reputational impact than positive one; denigratory news have a unique power because they concern atypical aspects of firm’s activity. Moreover, the Internet is characterized by a peculiar “memory”. The news, even when not available anymore in the original media outlet, can be found in other websites that have picked it up and the public can learn about it even long after its initial publication. Given these elements of complexity, the analysis should be run carefully so that it can provide appropriate support to claims for damages, and the economists responsible for the analysis should fully integrate their work with the one of firm and of legal advisors starting from the first stages of the process.